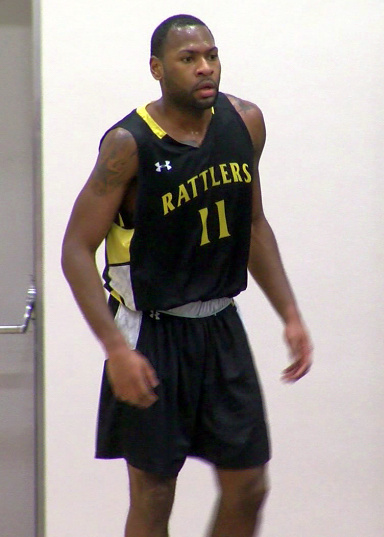 Kieron Burgess etched his name into the Alberta Colleges Athletic Conference (ACAC) record books, as he and his Medicine Hat College Rattlers dominated the Ambrose University Lions with the best rebounding performance in League history. Burgess grabbed 31 Rebounds, 24 of the Rebounds came on the Defensive boards against the Lions, setting a pair of ACAC records while also exploding for 41 points to help the Medicine Hat College Rattlers to a 109-61 win. Easily the biggest game of Burgess’ career since returning to the Rattlers this semester, he now sits sixth in the ACAC with 126 rebounds in just seven games. As for the rest of the Rattlers, they controlled the pace of play against Ambrose over the first half and took a 51-26 lead into the break. Rookie Arthur Rosa led the way in the second half alongside Burgess, scoring 15 of his 26 points over the final 20 minutes of play. Jevon Fray-Woodbine meanwhile had 12 points off the bench for Medicine Hat, as the team earned their first victory in two weeks to close out their six-game home stand.